The remittance market is vast, as billions of dollars circulate through it with continued year on year fiscal growth. However, it is fraught with challenges that make it costly, time-consuming and complex. COTI addresses these challenges head on with remittance being one of the many use cases of the COTI Trutstchain protocol in the finance industry. Read on below for everything you need to know about the remittance industry. Remittances are cross-border, peer to peer (P2P) transfers of funds typically sent by expatriates to their country of origin. 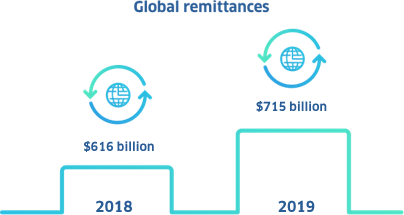 According to World Bank statistics, global remittances will grow to $715 billion in 2019, up from $616 billion in 2018. Some of the main countries that receive remittances from migrant workers include China, India, the Philippines and Africa, as well as Latin American and Caribbean countries. Remittance fees include exchange fees, commissions and cable fees due to the SWIFT network that operates through several brokers. At the G8 Summit in 2004, member countries agreed to tackle the problem of high costs to move funds across borders. In 2008, the World Bank created a database that would enable people to compare prices of various remittance services to foster competition among the providers and subsequently drive down prices for consumers. In 2011, the Gates Foundation predicted that decreasing transfer fees from 10% to 5% could unlock upwards of $15 billion a year in poor and developing countries. Analysts believe that $32 billion in remittances are not sent because of high transactional and regulatory costs associated with cross-border money transfers. While the vast majority of transfers take place via online and wire transfers that are both transparent, a large amount of funds are transferred using more opaque methods. This has alerted financial intelligence units to the fact that remittances are one of the ways that money is laundered and used to fund terrorist activities. Furthermore, it is difficult to determine the route that funds are being transferred and why additional fees are levied. Many users are unaware that brokers charge extra fees for overseas payments as they are more focused on foreign exchange rates. Remittances take a considerable time to be settled because they are manually processed by a limited number of trusted institutions. Not all banks are part of the SWIFT network, which causes a remittance to be bounced from one bank to another until it reaches its recipient. The process of remitting money is complex and is often difficult to navigate and understand. Fulfillments are not frictionless, as a single transfer goes through multiple intermediaries until it reaches its final destination. The process can be likened to connecting flights that enable people to travel anywhere around the world, even when there are no direct flights from their country of origin. Because the number of trusted institutions processing remittances across borders is quite limited, this leads to a giant monopoly amongst trusted operators. Security issues have been a serious threat to traditional payment networks due to cyber attack vulnerabilities. Traditional financial services are not available to billions of people worldwide, although remittances have an important role in the growth of developing countries. To establish overseas remittance operations, businesses must cooperate with partners from other countries. To do so, trust is an essential component and verifying this trust necessitates substantial time and efforts. This is why many remittance service providers, except for monopolistic financial institutions, experience difficulties in expanding their business operations. COTI can process over tens of thousands of transactions per second. COTI reduces intermediaries, while liquidity pools created by COTI in various countries eliminate bank credit lines. COTI provides price-stable coins pegged to fiat currency. These tokens are used as a conduit to transfer money in real time. COTI protects entities against errors, fraud and counterparty abuse. COTI uses price-stable coins which digitize payments on the Trustchain to enable instant transfers. COTI has designed a full Know Your Customer (KYC) and anti-money laundering (AML) support system, built directly into the platform to ensure compliance across all applications. COTI features a simple user interface with no bureaucracy and jumping around hoops. COTI enables companies to tap into the two billion unbanked population. 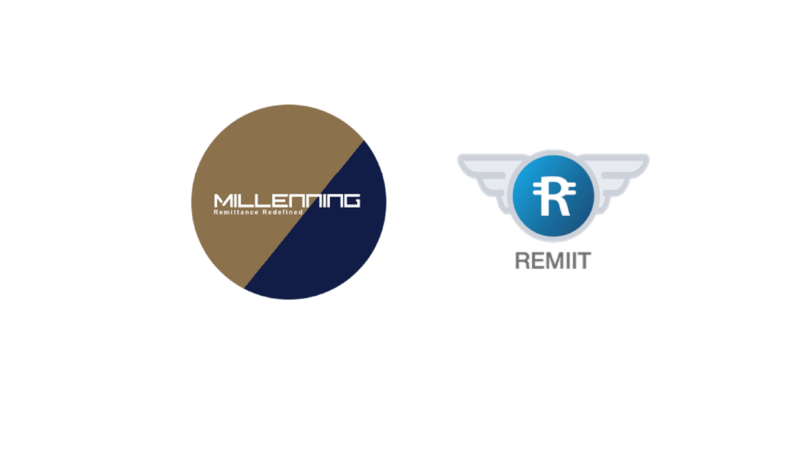 COTI has already secured a number of strategic partnerships with remittance companies like Millenning and REMIIT. REMIIT is a Korean blockchain remittance platform that allows a one-step solution for international money transfers. With COTI’s DAG-based blockchain 3.0 solution, REMIIT will have extreme scalability, price stability, instantaneity, ease of use, near zero fees and much more. 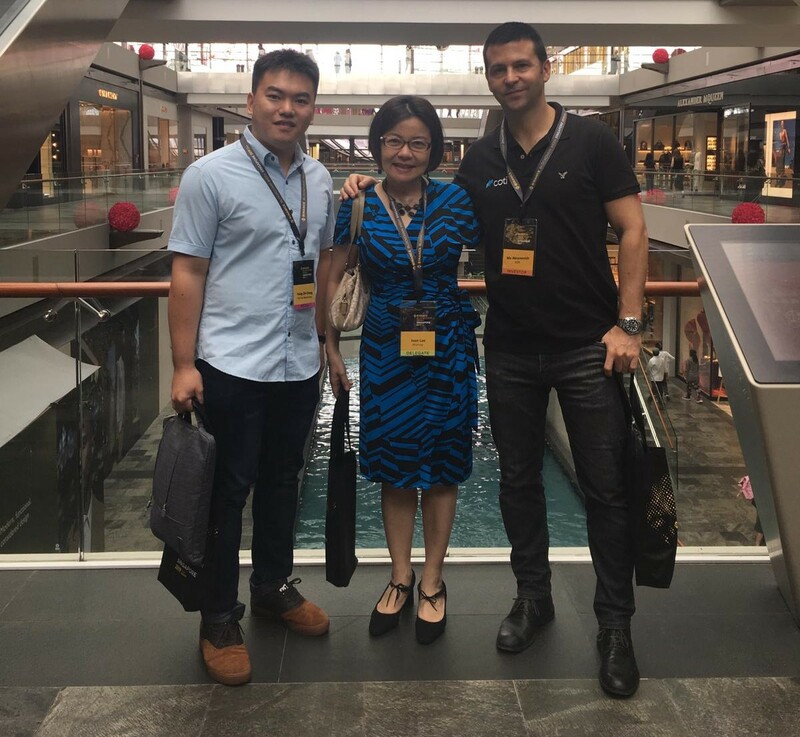 Millenning is a Singapore-licensed remittance company that provides frictionless, fast and low cost payment solutions to corporate and individual users. COTI will be providing Millenning with a white label license to use its Trustchain technology to supply users with optimized remittance solutions from Singapore to European countries and other locations around the world. As a remittance company operating in Singapore, what are the biggest challenges to providing such services? The concept of using tokens/token exchanges to facilitate money remittances requires global banking support. Exchanges need to have their own bank accounts to effect remittances, and this is currently a global challenge as banks are not supportive of crypto exchanges. 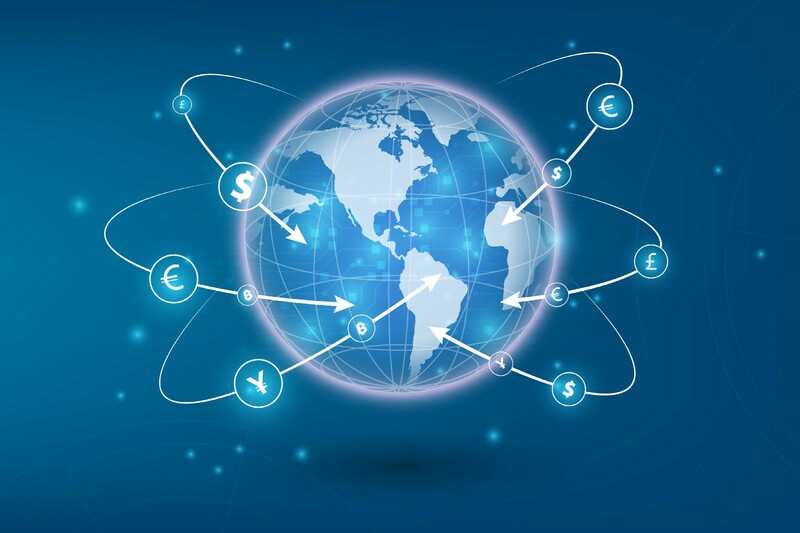 Fintech remittances require considerable liquidity in the receiving-disbursing countries. Using a crypto or token conduit for fiat remittances requires that the token have liquidity at various overseas exchanges. 2. Where do you see blockchain’s strengths in optimizing your services? We can optimize our services by using blockchain’s strengths of instantaneity and particularly its incorruptibility, as blockchain guards against fraud and counterparty abuse. 3. What sets COTI apart for you, as compared to countless other blockchain payment projects? We are particularly attracted to COTI for its “can-do” mindset and its innovative approach in merging the usual remittance service with blockchain technology and token systems. This in addition to COTI’s price-stable coins pegged to fiat currency, which are used to digitize payments on the Trustchain and enable instant transfers. 4. How do you see blockchain-based remittances panning out in the future, and when can they realistically be used? This is related to the two aforementioned challenges, as we cannot look at blockchain remittances in isolation. As a licensed remittance company, I believe that we have to contribute to an ecosystem of participating market makers to resolve at least one of the two major problems. This will effectuate the use case of blockchain and its tokenization for cross-border remittances. Remittance is just one use case of the COTI Trutstchain protocol in the payments industry, with many more applications to come. Stay tuned for more updates! Want to hear what’s happening at COTI before anyone else? Be sure to join our channel to receive our most timely updates! Click to join. Or join the discussion on our Telegram group.